This is a new contest that we will be running periodically. A discount will be offered .All you have to do is find Trigger's secret word in the latest blog post. The hint for Trigger's secret word will be posted in a Craigslist Ad. 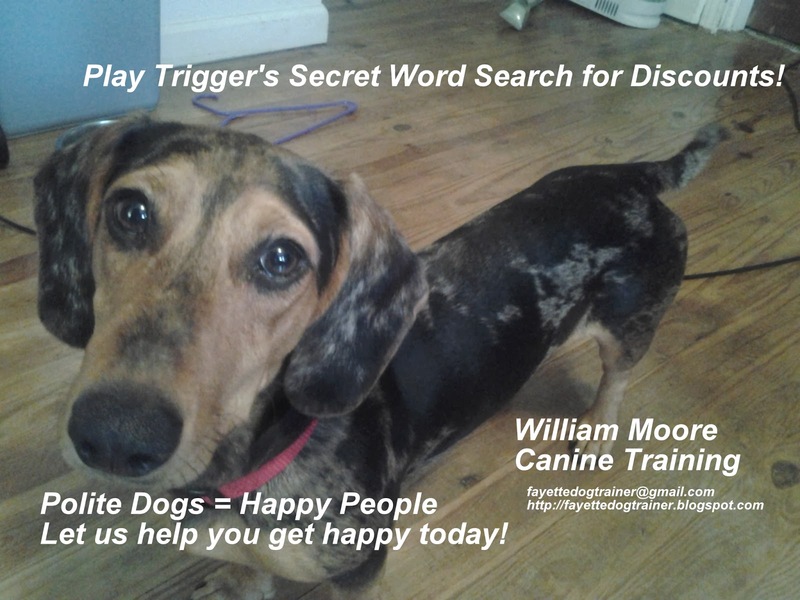 Find Trigger's Secret Word and get a 10% discount!